around your big purse,but you have to have the essentials.You always hope you prefer to have a smaller bag that can hold what is essential but doesn't weigh you downrightThis bag perfectly suits you. 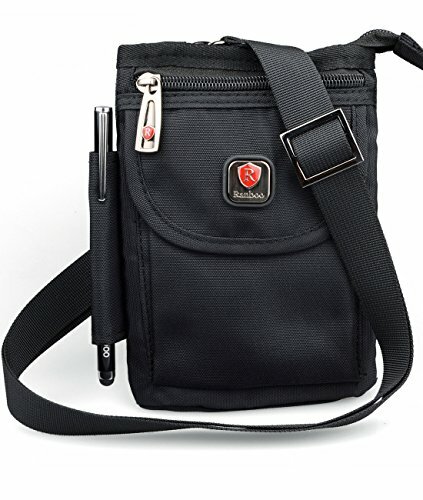 Gomen is a Professional Seller Mainly Sells Nylon Bags,Such as shoulder bag,belt Waist Bag,Cellphone holster,molle bag,etc.As a trusted seller on Amazon, we want to succeed in making customers satisfied with our perfect items. If you have any problem,suggestions or or you need further information about product or our customer service,please feel free to contact us,we are going to do our best to make it right.you just choose us and we will give you a satisfaction.